Employers want wellness programs that are robust yet cost-efficient, accessible yet secure, and the latest breakthroughs in digital technology can make these goals more easily achievable, writes Anna Mittag, vice president of operations at LifeSpeak, in “15 Technology Trends That Can Elevate Your Wellness Program” in the June issue of Benefits Magazine and the May/June issue of Plans & Trusts magazine. Below are 15 trends Mittag sees growing throughout 2018, followed by some best practices for implementing technology into your wellness program. Nonstop access. Technology like videos, podcasts and apps allows employees to pursue health goals at home and get family and friends involved, which can be a key step in maintaining healthy habits from a wellness program. More ubiquitous solutions. 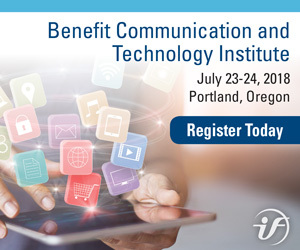 Benefits professionals will be able to harness the hyperconnectivity of smartphones, tablets and other gadgets to collect more accurate data and provide more personalized services. Increased popularity of wearable devices. 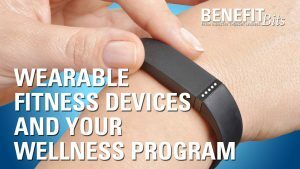 Fitness trackers and smartwatches continue to gain traction, making it easy for employees to receive real-time feedback on their health. In addition, employers can use this technology to pinpoint effective resources. 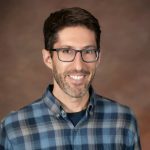 Hear from industry thought leader Jonathan Dugas, as he discusses how wearable devices effect wellness program success. Rise of chatbots. Chatbots, automated tools that answer general questions from users, can help employers gauge the effectiveness of communications. For example, if employees keep asking the same questions about certain benefits, employers may need to add clarifications. Integration across platforms. Organizations are beginning to compile resources in one place, and some providers are integrating solutions with one another, allowing for simplified access for employees and more efficient exchange of data. Better support for off-site employees. More organizations are incorporating live health web chats and other digital solutions to engage and connect with telecommuters, freelance contractors and other off-site staff. Focus on mental health. Employers are using podcasts and apps to help workers with stress, anxiety, depression and other mental health conditions. “Digital technology is especially powerful when it comes to mental health because it offers employees complete privacy and anonymity,” Mittag writes. Prioritizing sleep. Sleep apps that track metrics like amount and quality of sleep can offer insights into better rest and greater alertness in the office. Better incentives and rewards. Digital technology is expanding the selection of memberships, passes, discounts and other rewards that can drive participation and engagement, and it also is becoming easier to distribute these rewards. More gamification. Wellness technology will become more fun through gamification tactics like unlocking prizes and beating levels to increase feelings of competition, growth and achievement. Heightened personalization. Increased customization will allow employees to choose the most relevant resources, including medication reminders and programs dedicated to managing a single health condition. Employers also can take advantage of this trend, with more providers offering customized wellness solutions for organizations. More frequent communication. Through push notifications and alerts on mobile devices, it is easier for benefits teams to increase engagement and awareness among employees. In turn, this could lead to greater adoption rates for wellness offerings. Trustworthy analytics. Digital technology allows for precise determinations of who is using which resources and where, how and why they access them. Social interaction. The social aspect of a well-being program can lead to better health outcomes through increased engagement and camaraderie, and more apps are connecting staff to wellness solutions and to each other. Improved automation. Apps and chatbots are increasingly handling tasks like FAQs and rewards administration, allowing human resources staff to focus more attention on creative and interpersonal solutions. 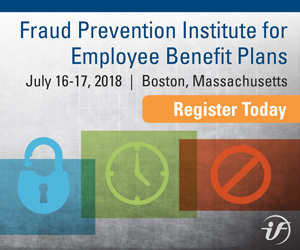 Because wellness programs deal with the collection and storage of sensitive employee data, it is vital for them to include cybersecurity provisions. “Work closely with your program providers to ensure they comply with regulations surrounding data storage, security and nondisclosure,” Mittag advises. She also suggests that employers prepare for the ongoing task of updating and communicating content related to employee well-being. It is important to remember that comfort with technology can be another obstacle. Some employees may need introductory and ongoing tech support. Mittag suggests keeping metrics on usage of different services in the wellness program—specifically, information on who, what and when. “Knowing this information will help you understand which parts of the program are working well, which need tweaking and which might require a total overhaul,” she says. Successful wellness programs are often branded as an employee benefit, but employers also stand to gain, Mittag notes. 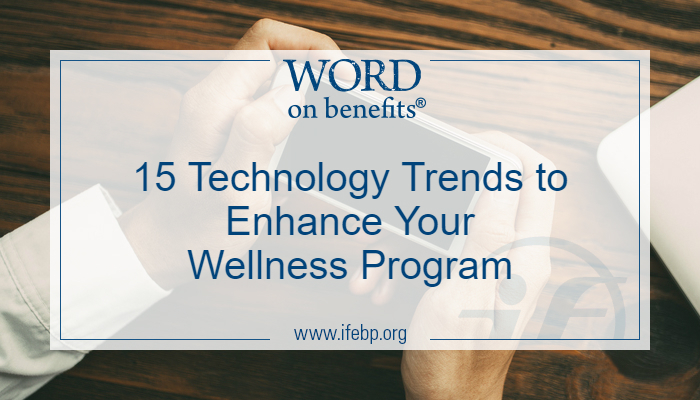 Employers that harness digital wellness technology trends may be able to improve employee well-being, engagement and productivity while reducing organizational turnover and absenteeism.